The rapper over the weekend shared an Instagram post that lists the names with payments doled out since Minaj called on students last weekend in a tweet to show her their straight A report cards in exchange for tuition money. She also announced that she will be starting a charity for student loans and tuition "very soon." Devonte Portis, a sophomore majoring in Public Relations at Ohio University is one of those who made the list along with his best friend Christina Holland. Portis added that he's "thankful" to be a fan of an artist that "genuinely" and "authentically" cares about her fans. "Nicki has always pushed us to further our education and to be assertive and go after what we want," Portis said. "I look forward to continuing my education at OU and will forever be grateful for her making it possible for me to return to the school I love because without this help I would not have been able to return anytime soon." Minaj now joins the ranks of generous musicians who have made headlines recently for making education a priority in their charity efforts. Beyonc last month announced that she will fund four scholarships for "young women who are unafraid to think outside the box and are bold, creative, conscious and confident." Chance the Rapper donated $1 million to Chicago's public schools in March and created an arts fund to help schools hard hit by budget cuts. Minaj took to Twitter on May 7 to pick a winner for a contest in promotion of her latest music video, "Regret In Your Tears." But things took a generous turn when a fan tweeted at Minaj asking if she would instead help pay his college tuition. That's when Minaj offered to not only help this student but opened it up to all of her fans who needed help with college tuition or had educational loans that needed to be paid off. 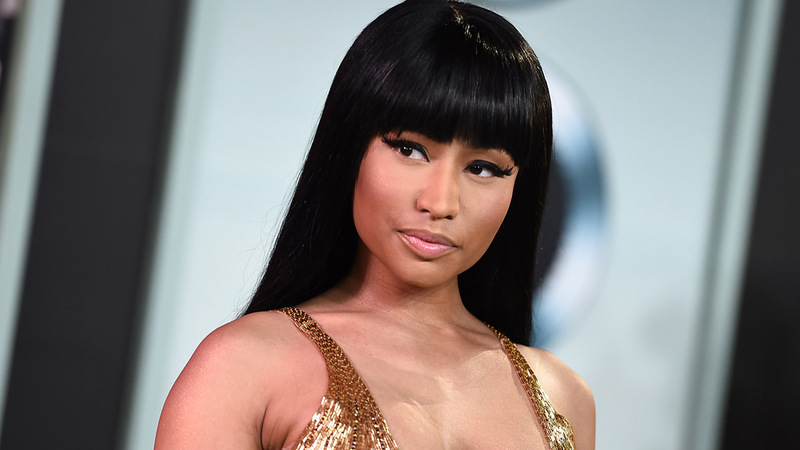 Minaj began tweeting with 31 fans about their financial needs. Minaj's Instagram post on Saturday shows that she's has paid more than $18,000 to at least eight of her fans who needed help with loans repayments, tuition and books." "This makes me so happy. (A few from the other day) I'll do another impromptu payment spree in a month or 2 but pls know that I'm launching my official charity for Student Loans/Tuition Payments VERY SOON! You'll be able to officially sign up! I'll keep you posted!" Minaj wrote on Saturday.